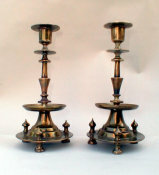 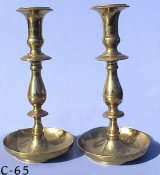 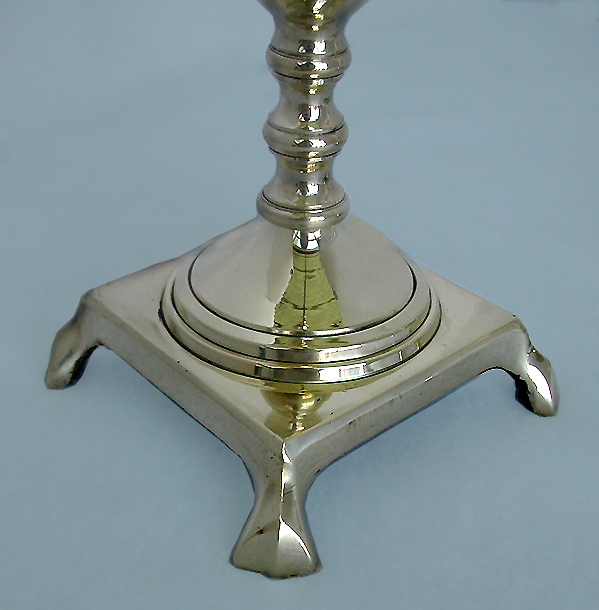 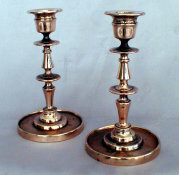 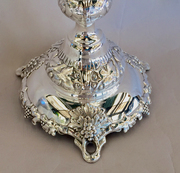 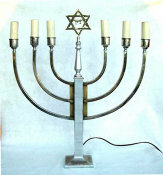 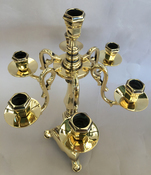 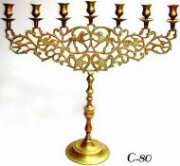 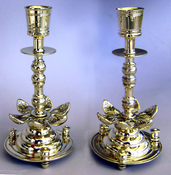 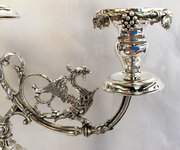 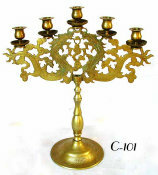 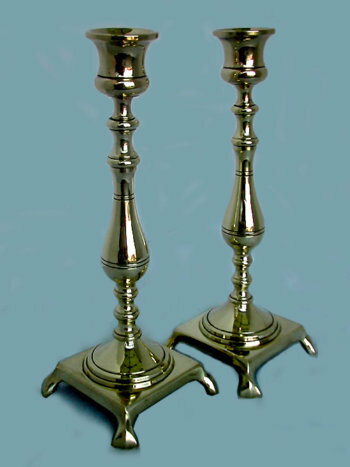 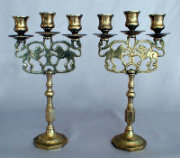 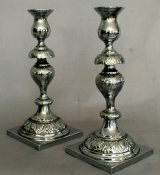 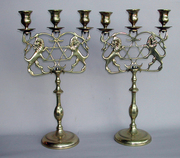 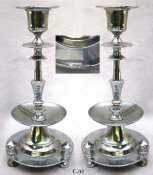 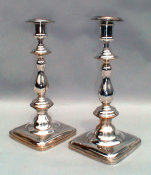 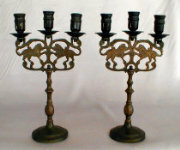 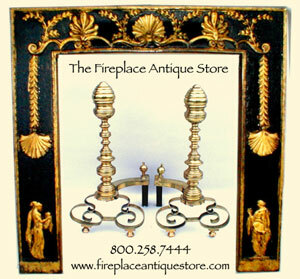 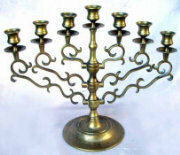 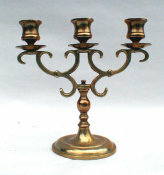 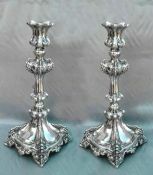 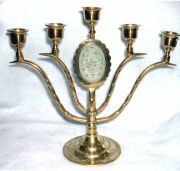 Graceful Sabbath Candles of high polished brass, made by the Immigrants on York's Lower East side c.1890s- 1920s. 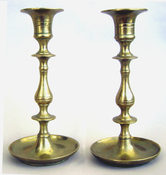 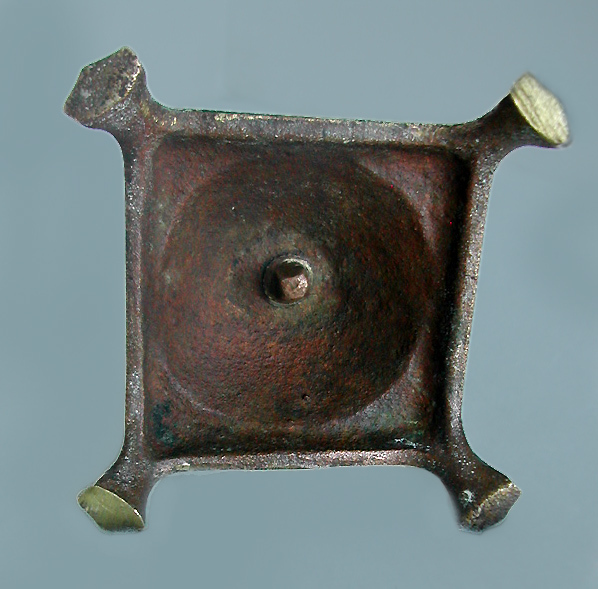 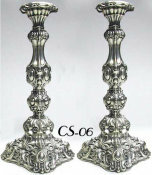 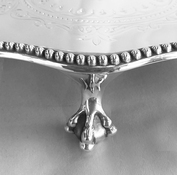 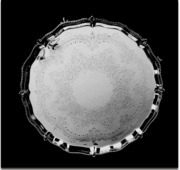 Baluster stems set above and below with multiple knops and banding. 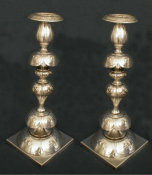 Hand turned screws.